The flower pot salad returns! It’s a sure sign of spring in Oswego when the Emerson Creek Shop and Tearoom opens each May. 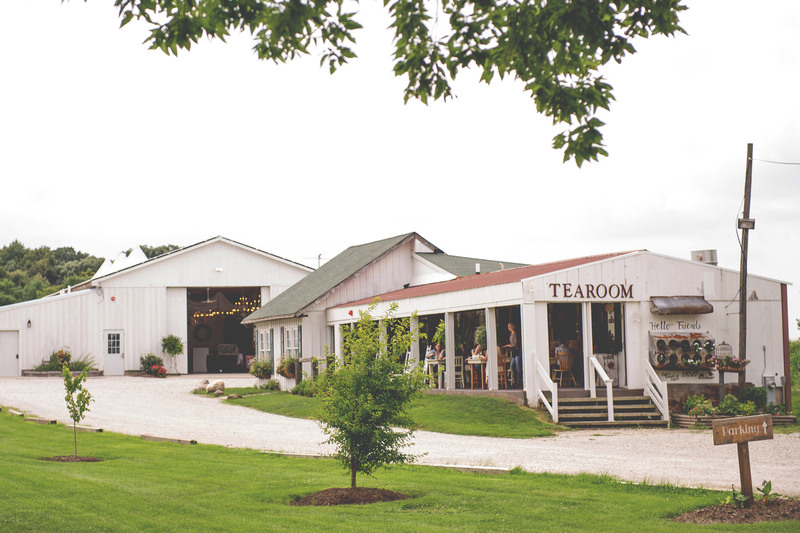 A day in the country awaits at Emerson Creek, down a long gravel road with a century-old farmhouse filled with unique treasures, a Tearoom serving up freshly prepared lunch, and events throughout the season to unwind in the countryside. Make a lunch reservation ahead of time for the Tearoom, and be sure to try the Flower Pot Salad, served in an actual flower pot, and the Peach Blackberry Cobbler for dessert. The Tearoom opens again on May 15th, 2018. The Tearoom menu changes every two weeks. The Emerson Creek Shop features signature bakeware, artisan-crafted candles, unique jewelry and a hand-selected collection of gifts to suit all tastes. The Shop opens for the season on May 8th, 2018. If the Shop has your style, you will want to drop by the second Wednesday of the month for the Backroads Vintage Market, beginning June 13th through October, 10am – 3pm for vintage, salvaged and handmade furniture and other treasured items. Want to really unwind? Check out their Yoga events calendar that includes- Yoga and Wine, Pilates, Candlelight Yoga and Yoga and Mimosas. Uncork, roast marshmallows and enjoy the beautiful view on the patio overlooking the countryside. Don’t forget to bring your own mat and invite your friends. Emerson Creek is set in a beautiful landscape, manicured to offer you a picture-perfect setting for a wedding. Emerson Creek’s wedding season runs May through early November. They pride themselves in warm hospitality, excellent service and fresh, delicious cuisine. Visit Emerson Creek Shop, Tearoom and Events online to see a full list of offerings and make reservations.